On-Time Bumper Buddy ATV Deer Feeder Spreader. 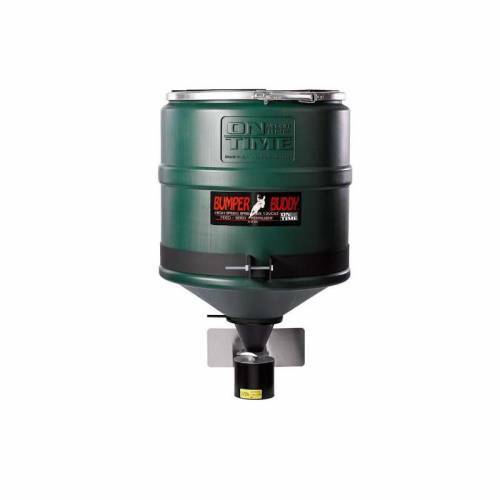 Make the chore of spreading fertilizer, deer feed or seed effortless with the Bumper Buddy Spreader Combo! Our system distributes deer feed in a pattern from 4 to 20 feet and comes with 2 interchangeable spreader plates. 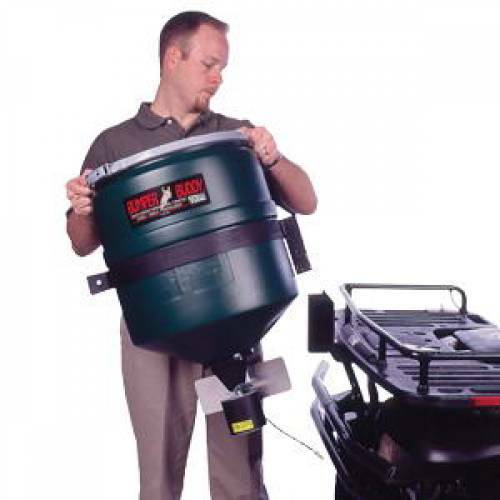 The 20-gallon capacity conical hopper is made of durable polyethylene and will mount to most ATV racks with our unique 2-bolt clamping system. The Bumper Buddy has been designed for quick removal and reinstallation because the mounting hardware stays in place. The system also includes a manual cut-off valve which reduces waste when not in use. The deer feeder motor carries the On Time Lifetime Warranty.